UPDATE: Scott Smith drove away in a stolen ODOT truck Thursday afternoon. Woman identified as his girlfriend also charged in the incident. 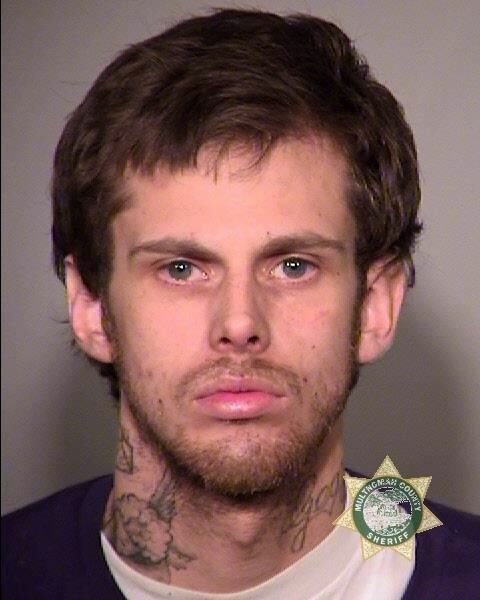 A 25-year-old Portland man who escaped Thursday from a Multnomah County custody work crew was found early Saturday morning hiding in a Gresham apartment. Multnomah County sheriff's detectives, Gresham police and the East Multnomah County Gang Enforcement Team took Scott M. Smith into custody at about 2 a.m. March 24, at an apartment in the 16400 block of Northeast Glisan Street. A woman detectives said was Smith's girlfriend was charged with hindering prosecution. Sheriff's deputies began searching for Smith early Thursday afternoon, March 22, after Smith drove away from a Northeast Portland county work crew in a stolen state truck. Deputies said Smith was in custody for a parole violation and was part of the crew cleaning up a green space in the 9400 block of Northeast Hancock Drive at about 12:22 p.m. when he climbed into an Oregon Department of Transportation truck and drove away. The truck was left unlocked and running at the time of the theft. Deputies found the truck a short distance away and were searching for Smith in the area. Smith was serving a 90-day parole violation sanction on an identity theft.